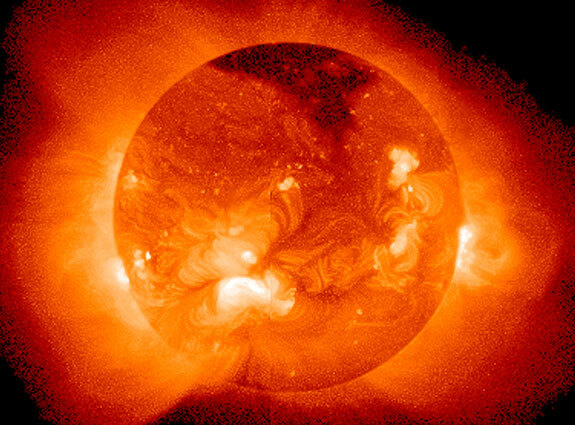 The Sun is approximately 149,000,000 km away from the Earth and is around 109 times larger than out own planet. The Sun provides the heat and light for our days, and once light created by photons leaves the Sun for Earth, they will arrive in around 8 minutes traveling at around 300,000 km per second. 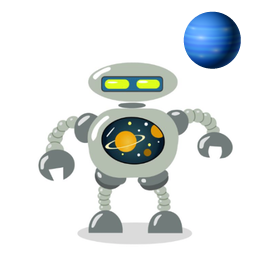 To generate its immense heat, it is continually burning hydrogen into helium which generates huge amounts of energy. With the Sun generates 400 million, million, million, million, watts of power every second of the day, which is equivalent to a million times the yearly power consumption of the whole of the United States Of America. 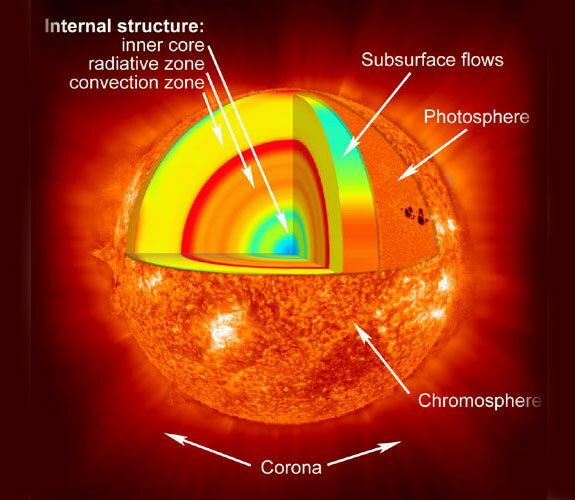 The core of the Sun is 150 times more dense than water and in parts reaches temperatures over 13 million degrees Celsius. The Sun makeup consists of approximately 70% hydrogen, 28% helium, 1.5% carbon, nitrogen, and oxygen, and 0.5% for all other elements.